In every bag of Green Dog Food and Green Pantry Cat Food. Long before the development of man made synthetic supplements your Dog or Cat’s natural diet consisted of natural sources of Nutrients, Vitamins and Minerals that helped defend against disease and infections. Your Dog or Cat’s immune system is complex and defends against infections and parasites if your Dog or Cat’s immune system is weak or is not functioning as it should this leaves their body open to attack. 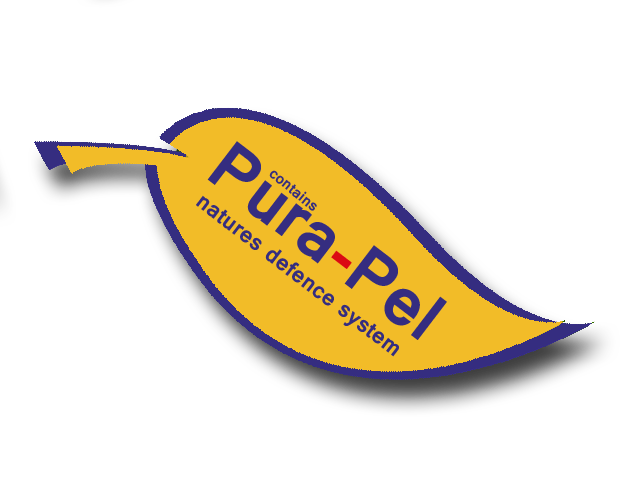 Pura-Pel contains only natural substances found in plants and herbs which are absorbed and utilized more efficiently than synthetic substitutes, these combined with a quality diet and exercise help maintain and boost your Dog or Cat’s immune system naturally. Pura-Pels approach in helping protect your Dog or Cat dates back to a time before man made pharmaceutical products and offers you as the owner a viable and unique choice in helping protect your Dog or Cat.